Ubisoft’s open world shooter/elephant riding simulator Far Cry 4 will soon be upon us, and to ensure maximum profits, the publisher has put out an enticing eight minute gameplay trailer. 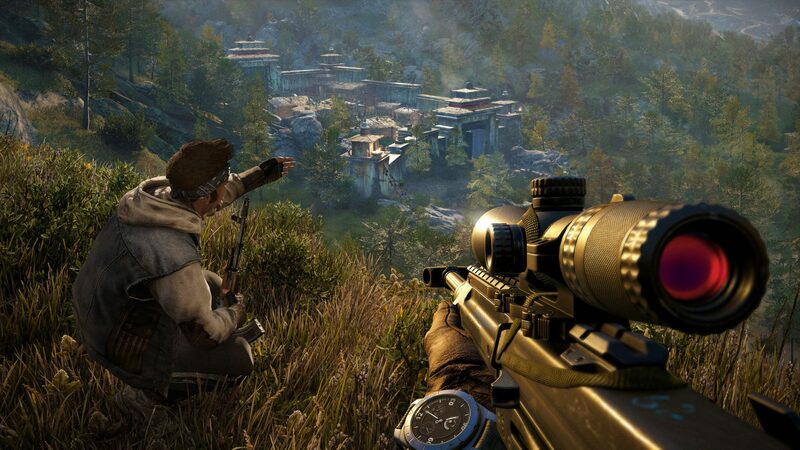 The trailer serves as a sort of beginner’s guide to surviving the Himalayan peaks of Far Cry 4. Covering both story and gameplay, it’s evident that Ubisoft seek to outdo themselves while sitting firmly on the successful formula established in Far Cry 3. With its very enthusiastic narrator, the trailer quickly outlines the premise of the game, in which the player, Ajay Ghale, returns to his homeland of Kyrat in order to scatter his recently departed mother’s ashes. Instead, he finds himself in the middle of an insane civil war. We get to check out some of the main characters that players will encounter, such as antagonist Pagan Min, an eccentric warlord who is shown stabbing what appears to be The Most Interesting Man in the World, as well as his lieutenants. As far as gameplay goes, Far Cry 4 present the usual threats encountered in the previous game, such as roaming patrols and wild animals, as well as environmental ones such as avalanches. You are up in the Himalayas, after all. In addition to the elephants you’ll be able to ride, Far Cry 4 also features a helicopter you can fly around in, which should make for some interesting tactical options. The trailer also outlines the game’s adversarial multiplayer modes. Players pick one of two sides to do battle with: the mystical Rakshasa or the Rebels. In what must be a first for the series, the Rakshasa have supernatural abilities, such as the ability to blink strike and summon animals, but lack firearms. The rebels, who are of a more earthly nature, have plenty of them. Although Far Cry 4 has gotten some flack for its emphasis on pre-order DLC, it’s hard to believe that the game won’t be a hit just as Far Cry 3 was. The game will be out on November 18 for the PC, PlayStation 3, PlayStation 4, Xbox 360 and Xbox One.